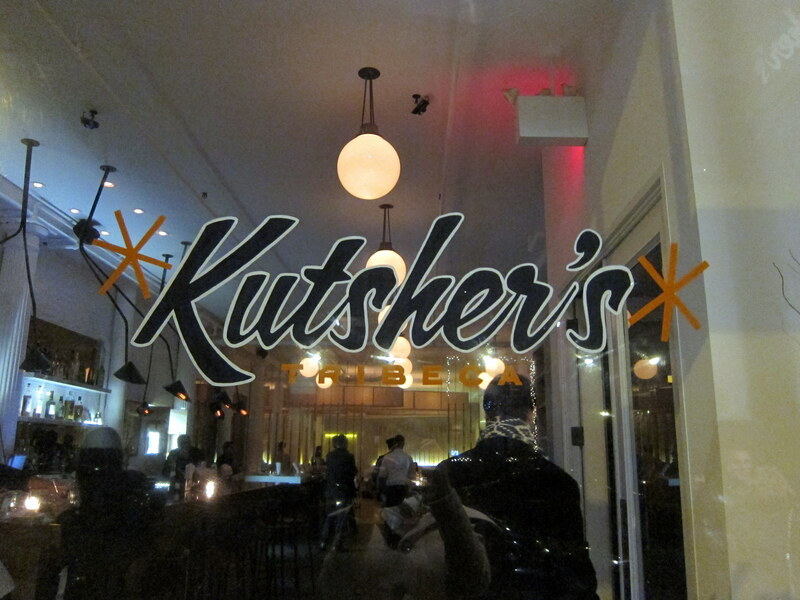 Kutsher’s, the iconic Country Club in the Catskills, opened a local outpost in October 2011 right in our ‘hood. The Country Club, open since 1907, has been entertaining and relaxing athletes, celebrities and locals for decades. 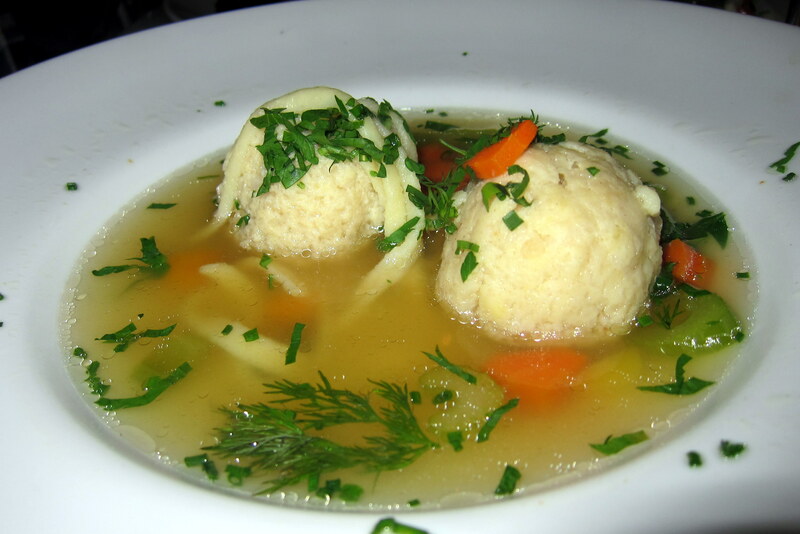 It began as a getaway for Jewish laborers in Lower East side in turn of the century New York City and grew into the powerhouse it is today, hosting weddings, bar and bat mitzvahs, and serving up delicious and authentic Jewish fare. 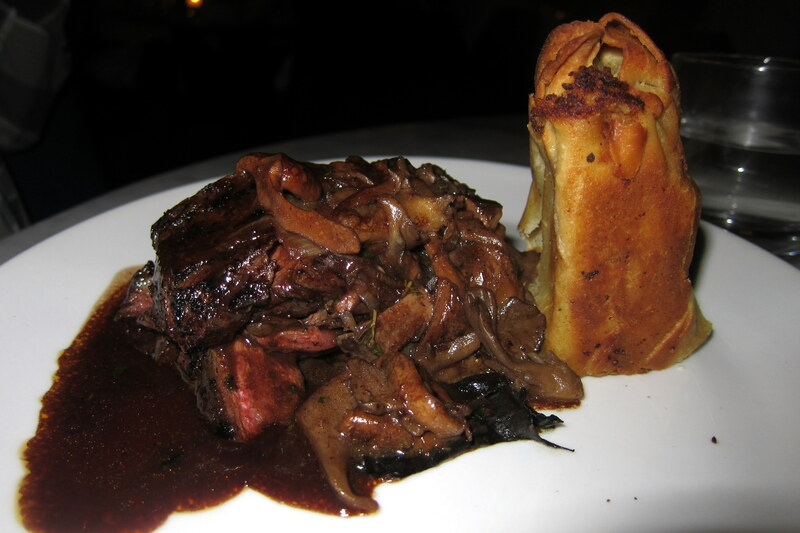 The Tribeca restaurant is the product of Zach Kutsher, a fourth generation family member, and brings the spirit of Kutsher’s Country Club to this charming bistro. 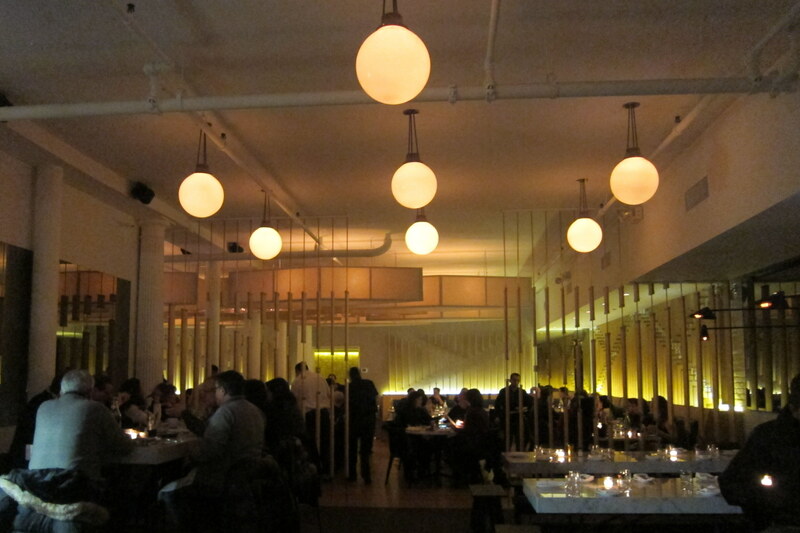 The restaurant is a lot more spacious than a typical Tribeca joint. But its high ceilings and exposed brick wall (albeit painted) connect it back to old the warehouse vibe of the neighborhood. There are small tables and bigger booths for cozy intimate dinners. The front hallway/bar area also has a communal table for a large group. 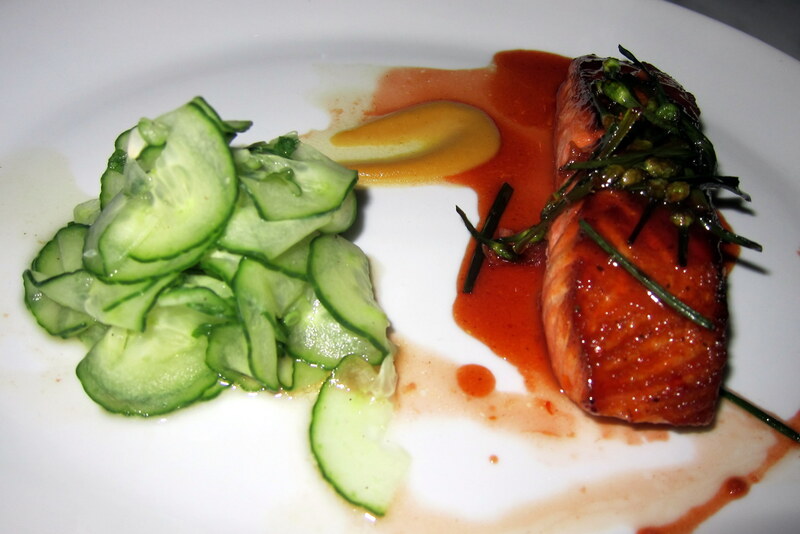 The menu features classic Jewish dishes in a refined modern presentation. 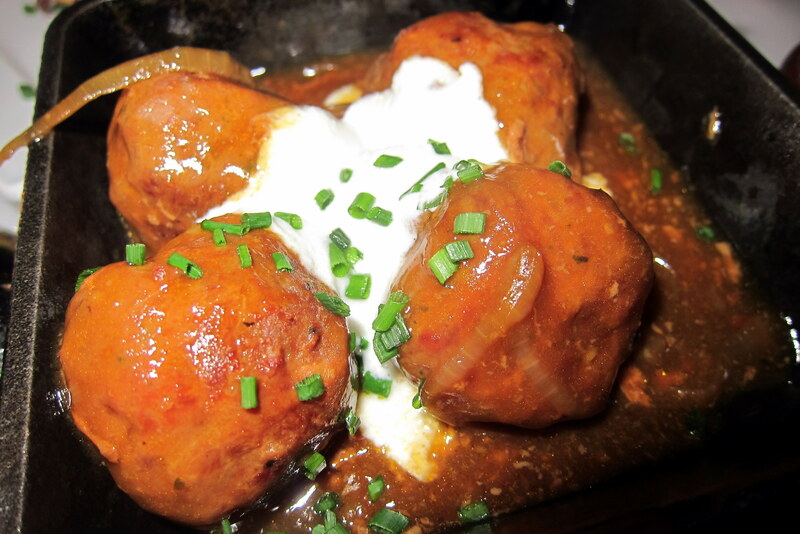 The brisket meatballs come with a creamy horseradish sauce. 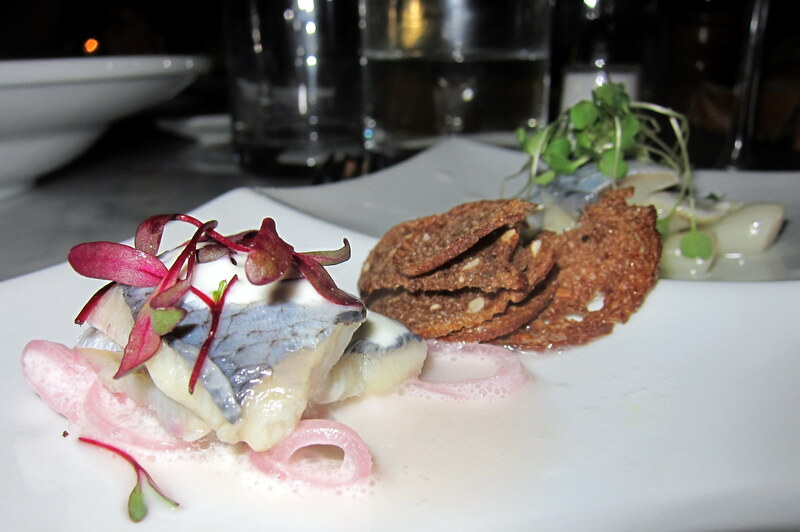 The gefilte fish comes with micro arugula and a parsley vinaigrette, and the herring with wasabi and yuzu. 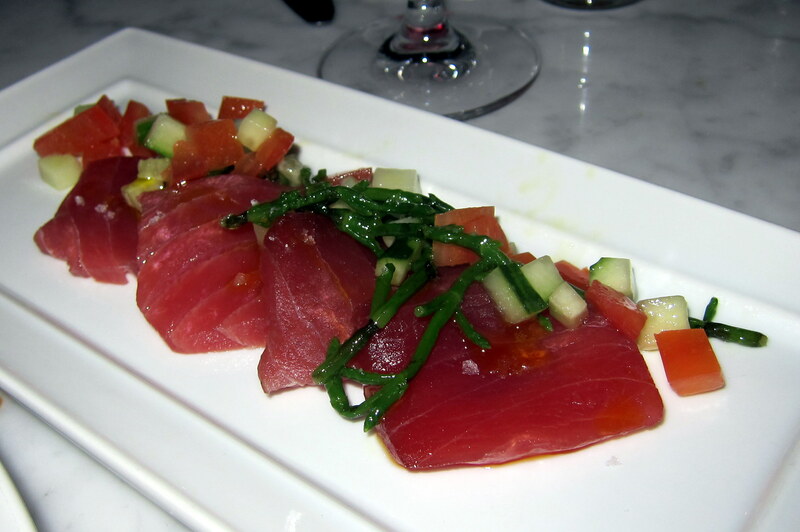 I loved the fusion spin and delicate flavor additions to dishes that I’ve always considered to be more comfort food. All in all, it was a perfect way to spend my Christmas Eve (yes, this post is overdue). This was the special of the day, so I am glad we got to try it versus the plain latkes with apple sauce and sour cream. 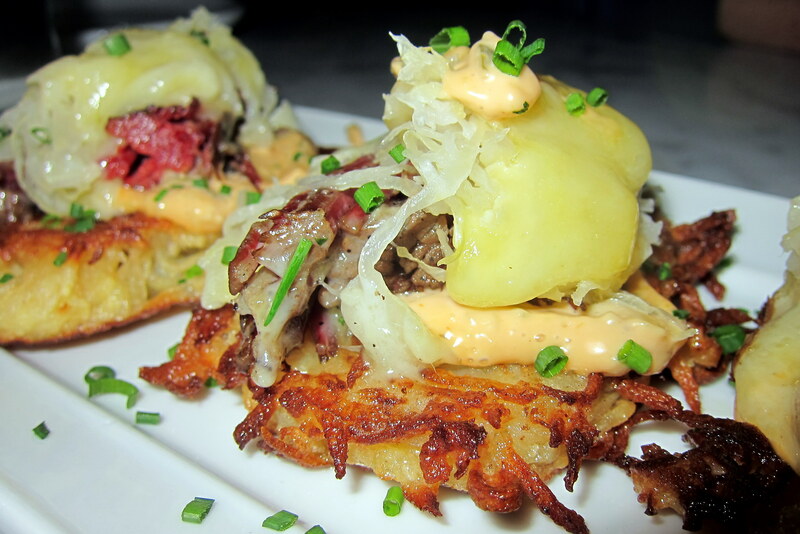 Essentially this is a Reuben on a crispy latke which is just magical. A bit bland, but that is the whole point of this soup usually. 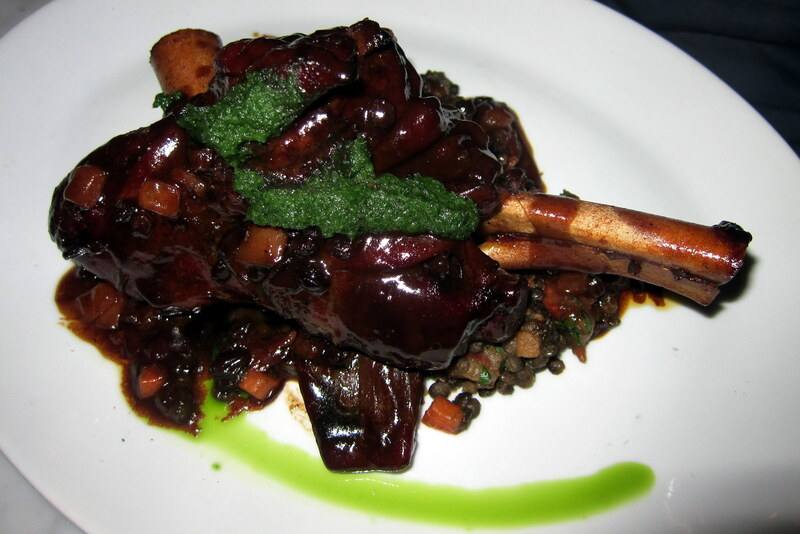 It’s great for a cold night to warm up, but didn’t stand out when compared to other dishes. Not everyone likes gefilte fish, mostly because historically it’s been cooked from carp, pike or some of the cheaper fish. And it’s also a ground up fishball/fishcake, so it doesn’t sound particularly appetizing to most. However, I am not most people. My family happens to make Gefilte Fish (from halibut though) as the Thanksgiving centerpiece instead of a turkey every year. So I was a huge fan of this halibut take on the traditional dish. 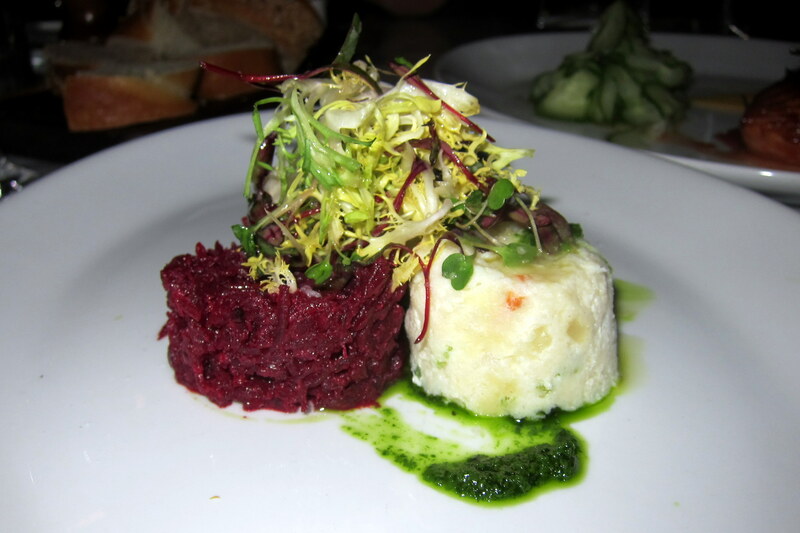 The beet and horseradish tartare added a nice kick as well. Steak. Good. Caramelized onions. Good. Roasted garlic. Good. Next time in New York, let me know! This is in my neighborhood and will make sure to visit.